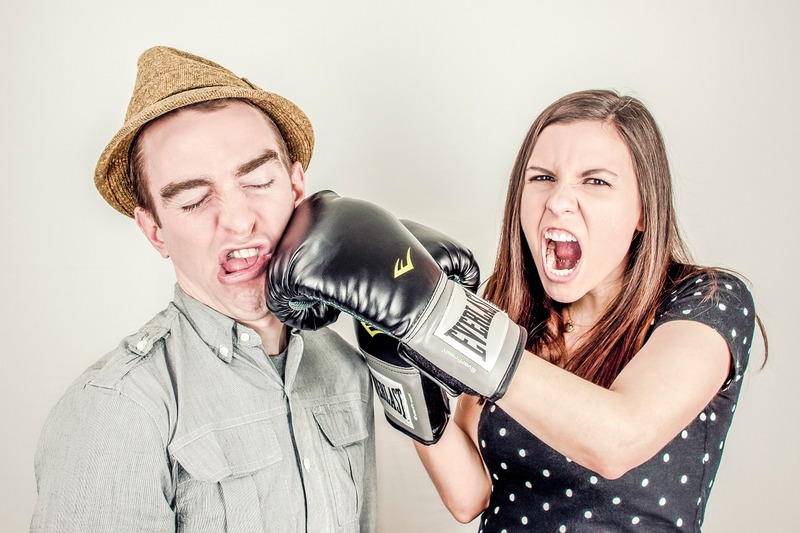 No matter how good your marriage is, chances are, you do get into fights with your spouse from time to time or they may say/do something to really irk you. And some of those times, you may struggle like I have with harboring bitterness in your heart toward your spouse. My marriage to Owen is wonderful. Over the last 5 years we have been married, I have fallen more deeply in love with him, and as he has adjusted to deal with me and my shortcomings, and I have adjusted to deal with his–we have drawn closer together and I must say–he has become so often, very easy to love. Regardless, we get into spats from time to time. And in those spats there have been times when I have been frankly, really pissed off at him. For some people, when you are that angry–you just go into the room where they are at, yell at them and tell them how mad you are at them, they yell back, then somehow you both feel better in the end. My struggle has gone through many changes as I’ve come to the better place I am at. When we were first married, I was very expressive. I just told him every time I was upset with him. The problem was, I was upset with him all the time. And he told me every time he was upset with me, which apparently was all the time as well. (oh the joys of first year). So we just fought all the time. It was not fun. It was not fruitful. It did not work. Here is the problem though. You can’t let anything go and not say anything disrespectful or unloving to your spouse or do something sweet for them when you are genuinely and perhaps even justifiably teed off at them. It sounds great on paper. Your brain can tell you all it wants to just let it go. But if the heart doesn’t want to forgive, you will only store up bitterness in your heart that will be released through passive aggression or aggression. And that was what happened to me. Every time we fought or every time he said or did not something that really irked me, I’d seek to let it go by not saying anything–but it was only an outward act that did not help hide the unforgiveness in my heart. Me: “Ok” [monotone and robotic attempt to let it go while inside I instead want to scream at him]. Then walk away and clean. I always clean when I’m mad. I don’t talk to him because if I say something to him it will be something awful, so I resort to just being quiet. The problem is, as I rehearse in my mind all things I want to say to him and add it to my list of all the other things he has said and done to irk me,I do not get over it. I just continue to stay mad, so I continue to be quiet in order to be a good wife. If I walk passed him, I don’t want him to see that I am mad at him because I am being the good wife who is dying to self, so I avoid eye contact. Oh and I better bless him. I’ll make him his favorite meal. But dang it, the passive aggressive came out and I slam the plate in front of him, instead of placing it gently. Then one day, God’s Holy Spirit got a hold of me. I was in the backroom one day after an episode like the one above had happened and I was folding laundry. The Spirit lead me through a series of questions and after I answered them all, my heart immediately softened and I was no longer angry or bitter at him. I still felt that what he had said or done was wrong, but I forgave him. And I was able to walk out of the room, and be pleasant the rest of the day. 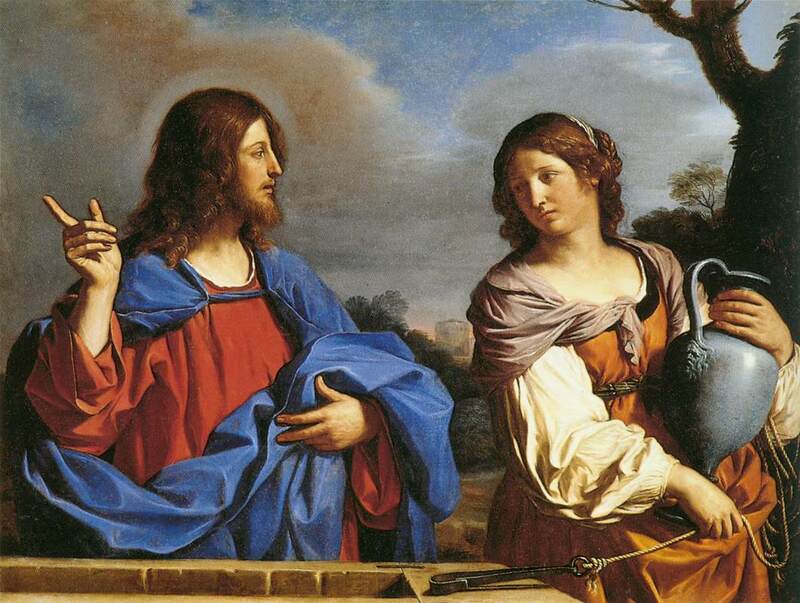 Guercino painting of Jesus talking to the Woman at the Well. You can adjust these questions depending on what your spouse said or did. But for the sake of argument lets take a scenario when your spouse has snapped at you and you don’t feel you deserved it. Spirit: Have you ever snapped at your husband? Me: Yes. [heart begins to soften as I realize I too have done what he did]. Spirit: How did he react? Me: He was angry at me. He even said blah blah blah blah blah. Spirit: So he didn’t feel he deserved it then either. Me: Yeah so, he should just be okay with me being upset with him for snapping at me because I’m not acting any different than him. Spirit: When you did snap at him, how would you have preferred him to respond? Me: He should have just gotten over it. I was irritable. He offended me. I still love him. It’s not like I hate him. I just needed him to stop. He should just let me be human sometimes and not take it so personally. Me: Oh…[heart completely soft now]. It’s so simple. Most of the time–you can admit to doing something similar to your spouse at some point. And when you come face to face with that, it becomes so much easier to forgive them. Even if they have said ugly words to you that you would have never said to them, you can admit to thinking those ugly words in your heart. That’s the beauty of Christ and how he has clarified the law. What you have said or done in your heart is no less ugly than what another has said or done in the open. So the next time your spouse angers you, allow the spirit to walk you through questions like this. See what happens. Write back and let me know. For more biblical advice on how husbands and wives should act with one another check out this great free resource of All The Bible Verses About Marriage.